If you are doing any sort of searching online, you are most likely on Google and taking a look at the organic and paid search results. The organic results are free (by my no means easy to get there) while the paid ads are simply that, paid for. They are the results that show up on the top and along the right side of the search results. Here we will be speaking about the paid results, otherwise known as PPC, pay per click, SEM, search engine marketing and Google Adwords (the vessel in which you will have your paid campaign). Google Adwords is free to use and you only have to be able to upload your campaign, enter in a credit card and means to pay for those clicks and off and running you are going. Sounds easy, right? Well, that therein lies the problem. It will be really easy for a layperson to set up their campaign and let Google whiz through their clicks and credit card charges. It is a credit card; the sky is the limit, right? Again, therein lays the problem. Many people look at Google Adwords and think, I can do this. You are right, you can but do you really know all of the ins and outs of the paid campaign, which areas to target, how to target different campaigns for different areas, how to peel and stick new campaigns when keywords are doing really well, when to pause a keyword, how to see what folks are actually entering in the search engine to come to your ad, how doing your own searches to see what your ad looks like will affect your ad, what the heck is that quality score thing and much much more? Yea, it’s not so easy after all, is it? 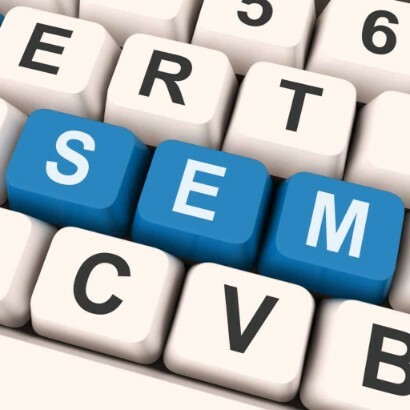 There are a lot of moving parts for the paid campaign and it is all meant to be able to massage your campaign into a better working search machine each time you review it, which should be regularly. Paid campaigns often get set up and left – it is not intended for that, unless you are okay with your campaign not working well or spending a lot of dollars on clicks that aren’t working for your business. Until then, might want to pause that campaign or use someone else’s credit card! Kidding, of course. « Who needs analytics anyhow? We have to wait for the next installment? Darn. Thanks for this one. You’re totally right as it can be tricky to navigate the ins and outs of paid campaigns. Looking forward to the next part of the series! I have run Google Adwords campaigns in the past for clients and while it is a good learning experience…why do it? There are so many moving parts, and it’s so complex. I would much rather turn it over to a professional (like you) to get it done quickly and in the best way possible. Great Post Kristen. Totally agree PPC can be a bit of a mine field and cost a lot of money if your not careful. Looking forward to part 2. Thanks Patricia! Lots of moving parts and ways to manipulate the campaigns. Been there, done that, and it isn’t really what I want to do…so I hire others when I want to spend the money. People like you who are comfortable with this knowledge deserve their pay!! Great information, but still you’re the ONE!! Looking forward to the next installment of this one. it is very hard to navigate a paid campaign and you know what you’re doing successfully. Thank you for writing this post is very helpful. Yep, paid campaigns can have quite a few moving parts, especially with targeting different campaigns in different areas. Looking forward to Part 2 of your series. 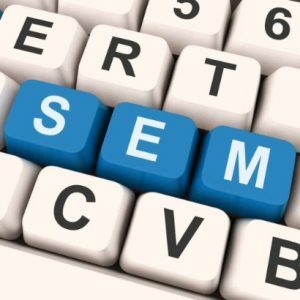 But, what is PPC (Pay Per Click)? And what are the benefits when I apply this into my online business if ever I have one? Check out a few of my other blogs on PPC Maria or the PPC page itself to explain. Let me know if you are ready to move forward.